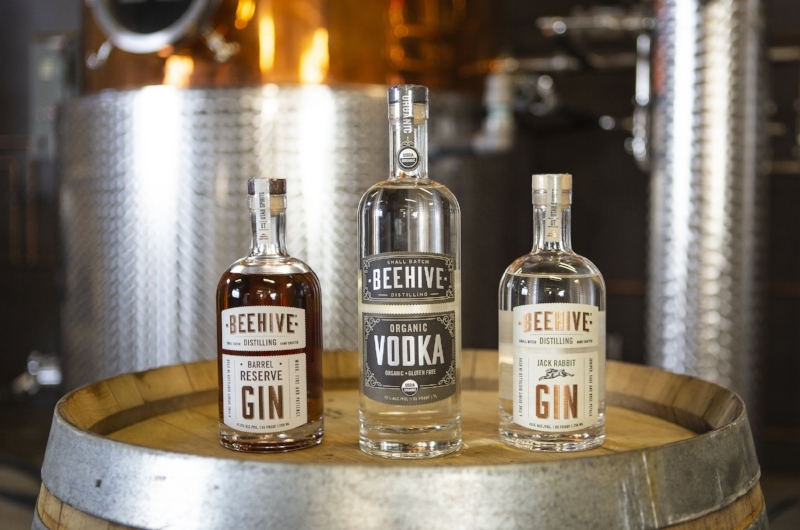 When it comes to gin in the Beehive State, Beehive Distilling has been leading the way since 2013 with its much-beloved, hand-crafted Jack Rabbit Gin. If you are a local, you’ve come to expect to see Beehive Distilling’s award-winning Jack Rabbit Gin, Barrel Reserve Gin and Organic Vodka on the top shelf of nearly every bar, as well as most food and cocktail events. Owners Chris Barlow, Matt Aller and Erik Ostling are well respected among the close knit and supportive community of distillers, craft cocktail enthusiasts, bartenders, and artisans. All their work seems to be paying off. Beehive Distilling recently moved its operation into a new and larger location at 2245 S West Temple. The expanded space means more room for production and will increase the original 80-gallon capacity to over 530 gallons––allowing for more spirits to be added to the lineup in the future. In addition, this new location also serves as a 3,500 square foot event space featuring Beehive’s burnished copper stills in the background. The space will open this fall with tours, tastings, a retail space and perhaps one more possibility - the opportunity to create a new bar for the area.